The Business Administration program provides a solid foundation for students preparing to enter any business-related field. The curriculum develops critical thinking and decision-making capabilities as well as career-specific skills. Students planning to transfer to a 4-year university should pursue the Business concentration in the Associate of Science (A.S.) degree. 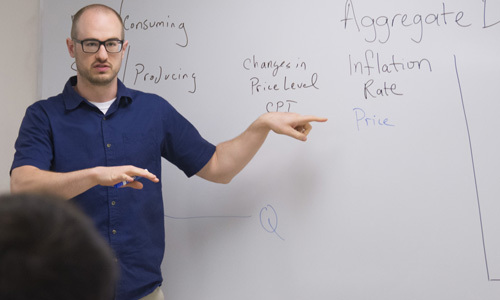 This provides a pathway toward a bachelor’s degree in any business field: accounting, economics, finance, human resources, international business, logistics, management, or marketing. Short-term certificates: Business, Tax Professional, Accounting Essentials, or Entrepreneurship. Please refer to the current catalog for curriculum requirements for each degree option.